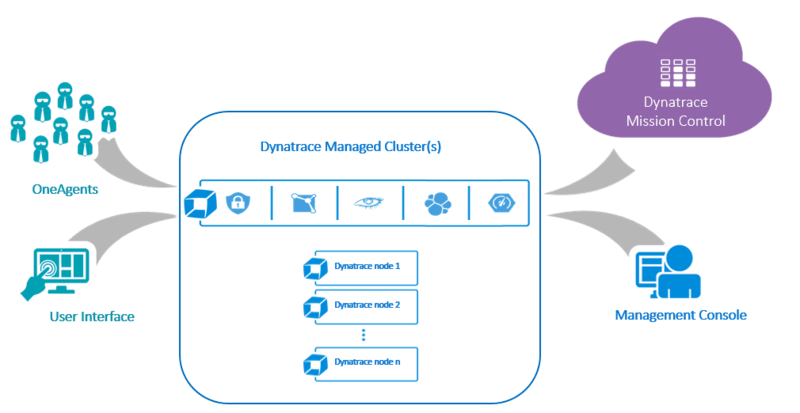 Both Dynatrace SaaS and Dynatrace Managed deployment models share the same underlying cloud-native web-scale architecture. 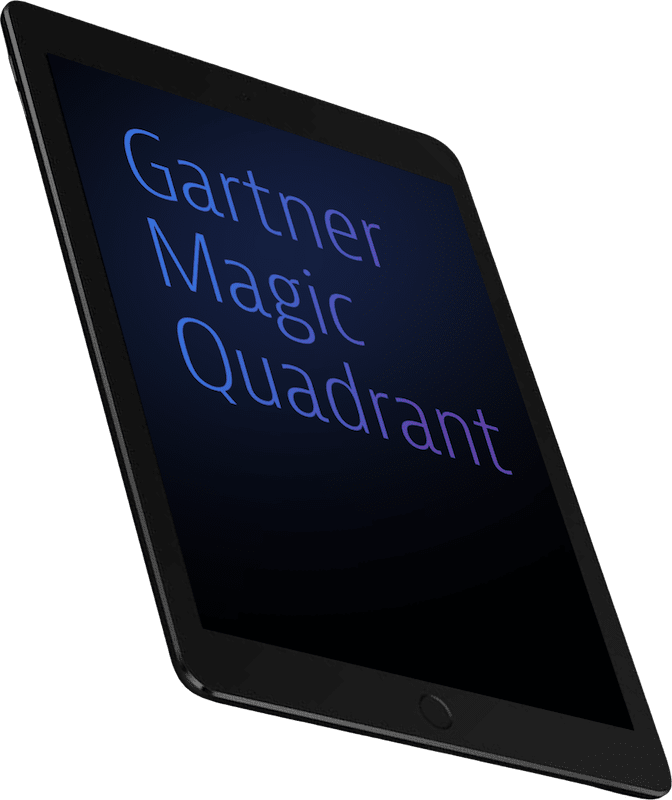 While SaaS operates entirely in the cloud, with Managed you set up a self-contained cluster node on your own infrastructure to host your monitoring environment. 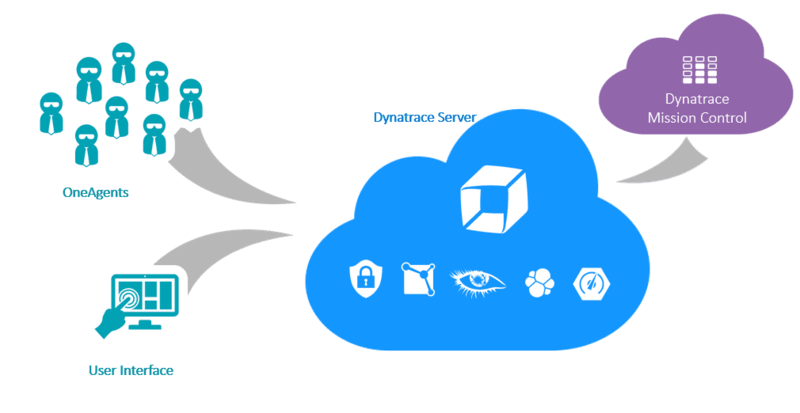 Dynatrace is the only solution on the market architected with dynamic, web-scale cloud-native technologies. Running on Amazon Web Services (AWS), Dynatrace is built on an elastic grid architecture that scales to 100,000+ hosts easily. We use the most robust enterprise-proven cloud technologies to provide a monitoring solution as resilient and available as the systems it monitors. Dynatrace runs across four AWS regions—US East (Virginia), US West (Oregon), the European Union (Ireland), and Asia Pacific (Sydney)—operating in at least three availability zones for each region. AWS Auto Scaling and Elastic Load Balancing capabilities ensure that new Amazon EC2 instances spin up automatically to meet spikes in demand and/or traffic. Real-time failover redundancy built into all system components. Automated management layer detects faulty components and replaces them immediately. One-third of excess capacity in our clusters always reserved for real-time failover and ability to cope with peak loads in real time. Dynatrace has been designed on industry best practices such as encrypted transmissions, cross-site scripting prevention, firewalls, regular security updates, security scans, and vulnerability assessments to ensure the security of your data. Auditing, access restrictions, and secure decommissioning of data storage complement the design. Because Dynatrace is hosted in the AWS cloud, it benefits from Amazon’s secure, world-class data centers, which are certified for ISO 27001, PCI-DSS Level 1, and SOC 1 / SSAE 16. 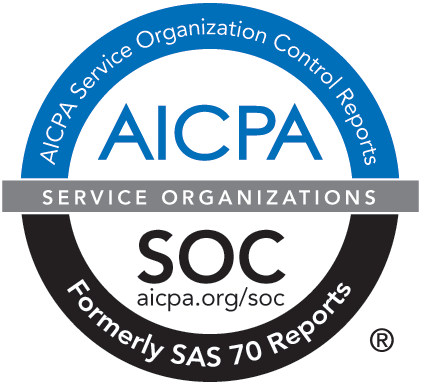 Dynatrace has received SOC 2 Type II certification for security and availability. Your Managed Cluster is the monitoring environment where the single OneAgent sends the data and where the AI-powered root cause analysis and fault domain isolation takes place. It includes all your dashboards, charts, and reports. Just 1 installer, 1 command, sets up the specialized components that comprise your Managed Cluster. Any troubleshooting when you run into problems. Communication with Mission Control is outbound-only: Dynatrace doesn&apos;t push anything into your system. 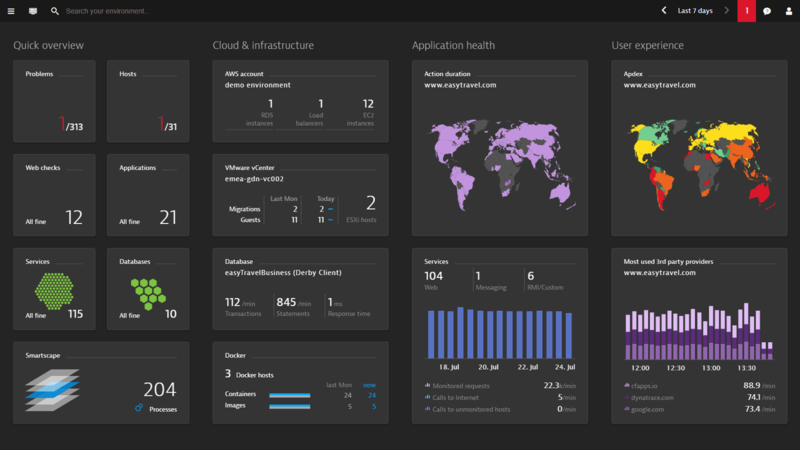 See all environments, technologies, and versions that can be monitored with Dynatrace here. Start my 15-day free Dynatrace trial!